BLUE RIDGE, Ga. – The National Rifle Association (NRA) continues to unveil their endorsements for the upcoming May General Primary, and the latest announcement revealed their pick for the next Georgia Lieutenant Governor, Senator David Shafer. Senator David Shafer of the Georgia State Senate. 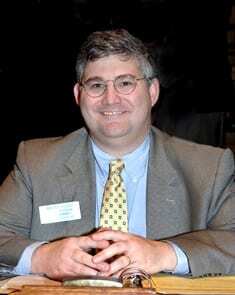 Shafer currently serves as a State Senator of the Georgia State Senate, a position he has held since first being elected in 2002. Shafer also holds the title of President Pro Tempore. He has had this designation since 2013 when his fellow Senators unanimously elected him to this position. Shafer received the Defender of Freedom award from the NRA’s Institute for Legislative Action in 2013. This award came after Shafer’s key role in passing Senate Bill 101 by an overwhelming majority in the Georgia Senate. The bill essentially made what the NRA deemed as “several important changes to Georgia firearms laws”. Among these changes were increasing reciprocity for out-of-state concealed carry permit holders and preempting a ban on firearms in public housing giving residents the ability to defend themselves regardless of their economic stature. The NRA’s endorsement is sure to pull some weight in the upcoming May General Primary. There are currently more than 100,000 active members of the NRA in the state of Georgia. The May General Primary is scheduled to take place May 22, 2018. Voter registration deadline for this General Primary is April 23.